​​​​​​​Recent increase in wildfires news raises the question whether forest fires are part of some new tactic of Turkey. The recent increase in wildfires news raises the question whether forest fires are part of some new tactic of Turkey. Or can we say it’s a confession of defeat for Turkish army which failed to stop HPG guerrillas from advancing? The deliberate burning of forests and highlands by Turkish army clearly shows that the war has taken complete new forms. Taking into consideration that forests outside of Kurdistan also get scorched, we can ask ourselves whether it is a sign of a defeat they are spiraling into with no end in sight. These fires were started and spread in Dersim and other regions of Kurdistan in particular before they set fire to Hatay and other regions around the Mediterranean Sea. Forest fires reveal themselves here as the new war tactic of the Turkish army. It continues systematically and no day passes without another forest of Kurdistan set to fire. It's obvious that the Turkish army has been defeated in Kurdistan otherwise, why would they bomb forests in regions they claim to have taken out of the control of guerrillas? It is notable anyway, how the forests kept growing tenaciously despite the fire caused by the Turkish army over years, but too many animals have been killed in that time along with all of their offspring. An army scorching the nature is evidently a failed force. 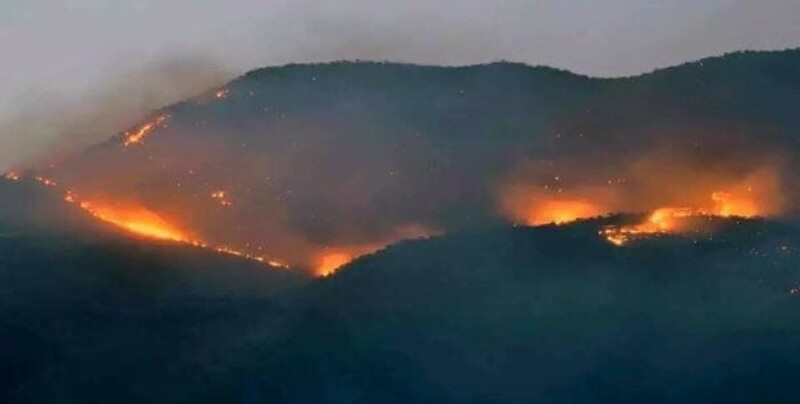 Recently, the Turkish army started to set the forests in the highlands of the Amanos mountains on fire, which are famous for their pine trees. Normally, due to the high flammable trees, these zones were given special care to prevent any risks coming along with an outbreak of fire, but still the military operations of the Turkish army in Amanos have started fires in that landscape. As Turkish army is absolutely desperate against the guerrillas, they turn against nature.